Weedoo LakeSaver Retriever/Skimmer/Bagger- a quick-change accessory. 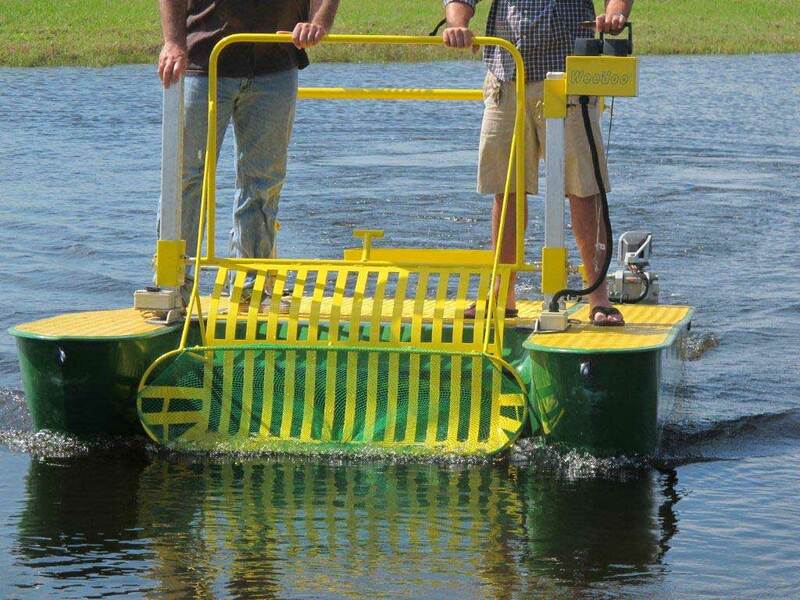 LakeSavers RSB implement is ideal for manually collecting aquatic debris. The LakeSavers RSB comes with a 50” x 12” oval shaped hoop for skimming or retrieving debris. Perfect for material such as duckweed, algae and floating debris. The hoop can be lined with our Weedoo A-1409 collection bags so material can be gathered and packaged all in one step. Weight 65 lbs.